Many "loyalty" solutions are available, so you want to ensure that the one you choose can be tailored to the needs and interests of your patients. If you have a young patient base, you will want a flexible program that has incentives, prizes and activities that will appeal to children, teens and their parents (like Lego mini-figures or Starbucks cards). One-size-fits-all loyalty programs are not going to provide the same experience for all your patients. Many practices are exploring how social media can be effectively used to grow a business by promoting office/patient interaction. The best patient-loyalty programs not only encourage your patients to engage with you on social media, but also track and reward for these interactions. Many programs focus only on referrals, but that is just one element of a successful referral and retention program. Consider providing patients with incentives for a variety of desired behaviors, including arriving at appointments on time, brushing and flossing well, and booking their next appointment in advance. You'll be more likely to receive referrals if you keep your program fresh and engaging for patients. Switch it up with seasonal or themed contests, trivia games, and quizzes that both educate and entertain, and update your prizes so that patients are always choosing from a great selection. You'll learn over time what works best for your practice and your patients. Marketing and social media are already mobile, with patients constantly engaged on their smartphones. Taking your patient-loyalty program mobile allows you to tap into this movement and gives you a way of tying together all of your efforts. It also provides you with an opportunity for real-time interaction with your patients, helping you develop even stronger relationships. Many practitioners already actively support their local communities. By linking your patient incentives and community investment efforts, you can get far more leverage for your investments. If you have other businesses located near your practice (hair salons, florists, coffee shops, etc. ), you can incorporate prizes from your neighboring retail locations in your prize catalog. The most successful patient programs have a passionate champion at the front desk. It might be the practice manager, marketing team, or receptionist. Whoever it is, this person is making patients aware of the practice's loyalty program, encouraging them to participate, and adjusting the program to keep it fresh and exciting. Many of today's loyalty programs appear affordable on the surface, but the underlying costs can really add up. Be sure to talk to your vendor or supplier about all the costs you may incur—not only up front, but also over time. Replacing lost cards, buying hardware to scan prizes, or paying shipping costs to mail prizes can be substantially more than expected. 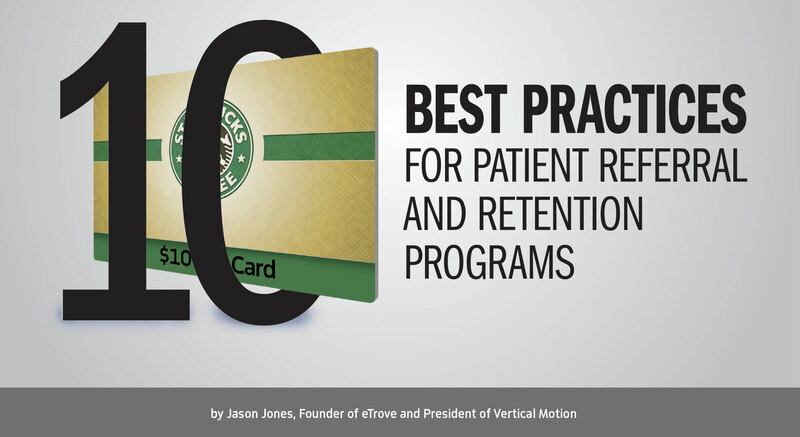 Most loyalty programs may appear to be working, but it's often very difficult to measure how your investment is translating into patient referrals, more appointments, and revenue. Having access to detailed reports and insights into your efforts and results will help you determine the effectiveness of your program. Many loyalty programs allow patients to pick from a library of prizes, and in the interest of convenience, the prizes are sent in the mail. However by doing this, practices lose that face time with the patients, removing the opportunity to make the interaction personal. Having your practice staff personally thank a patient for a referral and give him or her the prize is a much more individual experience and leaves a longer-lasting impression. Jason Jones is the founder of eTrove, a patient-appreciation, referral and retention solution for the dental industry with a mobile app and social media integration. 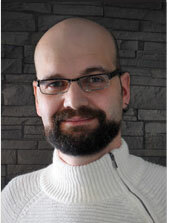 He has experience in graphic design, Web development, business analysis, usability, enterprise integration, online marketing, custom development and project management. Jones developed eTrove as a customizable solution to solve real-world problems for small to large businesses. .